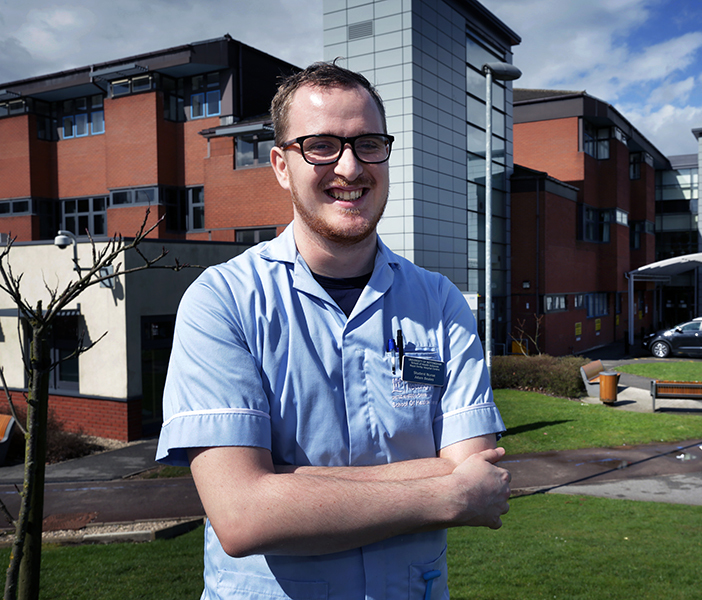 A nursing student was so inspired by a placement on an older adults’ acute ward that he is now a dementia friend, a 6Cs ‘caremaker’ and is undertaking research into pre-registration attitudes to older people. University of Nottingham second-year mental health student Adam Beales was able to encourage a dehydrated patient with dementia to increase her fluid intake by using her favourite drink to flavour mouth-care swabs. He asked her family if she liked any particular drinks and used the idea of mouth-care swabs to introduce it. She recognised the flavour and with time and encouragement increased her fluid intake significantly during the shift. Adam says: ‘Having worked in the past with individuals aged predominantly 16-25, I thought I would dislike the placement immensely holding very stereotypical views of the patients before starting. As a direct result of the placement Adam became a ‘dementia friend’ and is a volunteer caremaker – an ambassador for the chief nurse’s 6Cs initiative. He is now conducting research into the views students hold about older adults when entering a pre-registration nursing degree and has become a peer mentor. 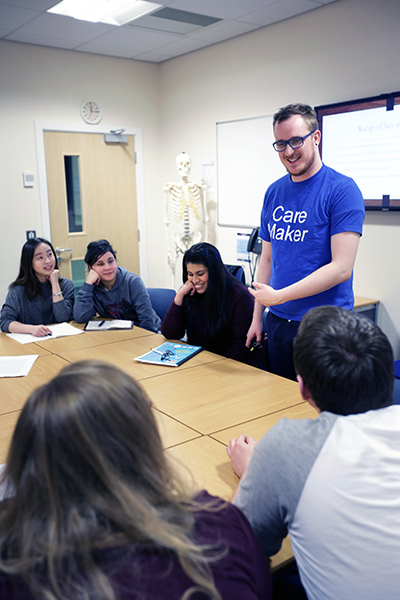 Adam is setting up a campus nursing society to support nursing students and hold events enabling discussions on current challenges and developments. Adam is a finalist in the Andrew Parker Student Nurse Award category of the RCNi Nurse Awards 2016. The award, supported by the RCN, recognises student nurses whose nursing practice, perceptions or interactions with patients have changed as a result of an incident or experience during training. Adam says: ‘Being shortlisted for the award is a tremendous honour but came as quite a shock. ‘It’s not only a testament to all the teaching at the University of Nottingham but all the staff on my current and previous placements. In 2016 the Royal College of Nursing celebrates a centenary as the voice of the profession. From its original educational and professional objectives, the college has grown into the largest professional union for nursing with more than 430,000 members including nurses, midwives, healthcare support workers and students. It continues to campaign across the UK and internationally, influencing policy and practice for the benefit of nursing staff and their patients. Sponsoring the Andrew Parker Student Nurse Award tonight is just part of the college’s commitment to supporting nursing excellence for 100 years more.